The 24 oz. Gripper Bottle with Straw makes drinking enjoyable and hassle free. The 24 oz. Gripper Bottle with Straw makes drinking enjoyable and hassle free. It is made of BPA free Tritan™ material and meets FDA requirements. It is impact and shatter resistant. 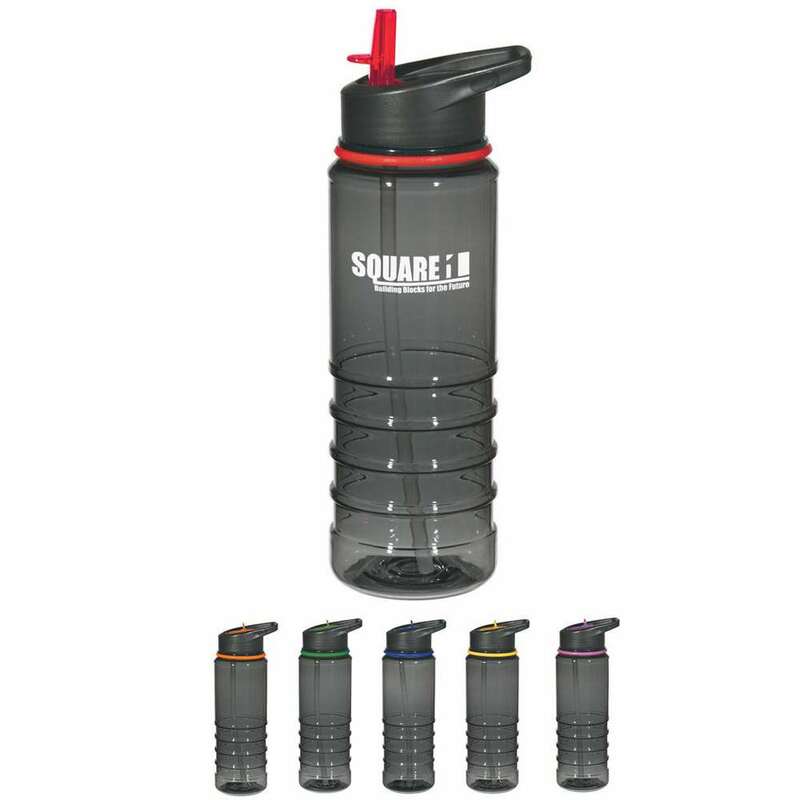 It has a screw on, spill-resistant sip top lid, to prevent accidental spills. The bottle has a convenient handle for easy transport. It is available in charcoal color with blue, red, orange, yellow, green or purple sip top and a silicone ring. Imprint your company’s logo on the bottle and give it away at gyms, marathons, and other sporting events, for greater brand visibility.